I have been working on this recipe for awhile and have finally cracked it! It’s perfect ❤ These delicious balls are pumped full of superfoods held together by a rich salted date caramel (aka heaven). These protein bars are totally unrefined, all natural, raw and vegan. The protein in these babies comes from raw nuts, rather than processed powders, making these easy to digest. There are so many variations on this recipe. 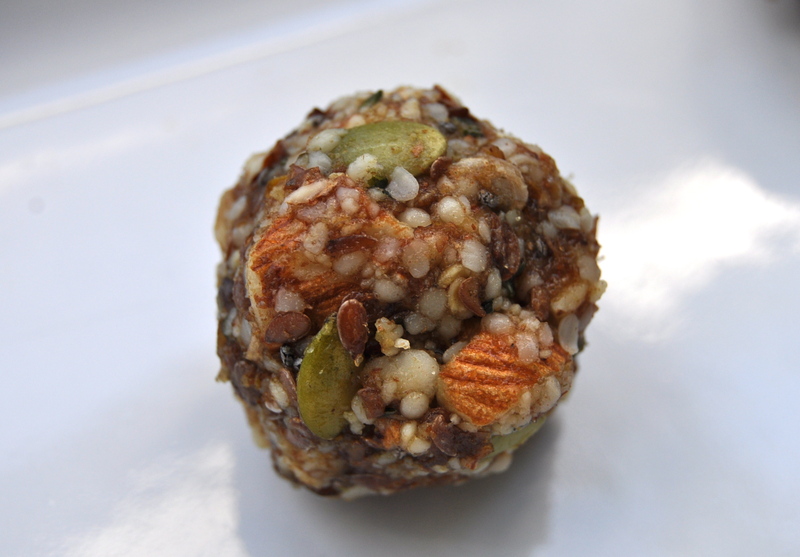 If you are not a fan of a certain ingredient, swap it for a similar nut or seed. Experiment! I would love to see your creations! This recipe makes enough for about 24-30 balls or bars. I like to make 1/2 into balls and 1/2 into bars. This recipe halves or doubles easily. They will last for a few days in the fridge if you have leftovers. First make your…. Place ingredients, except for cinnamon and salt, in your blender or food processor. If you are using a lower powered blender you can heat the 1/4 cup water to boiling and soak the other ingredients in the boiling water for about 10 minutes to soften before adding to your machine. 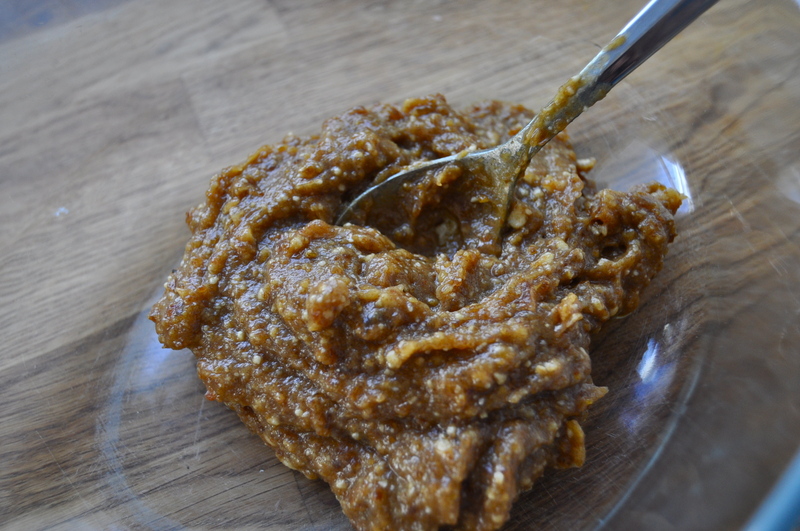 Process until caramel becomes smooth and silky. Scrape into a bowl. Taste. I know…..I know! Yum! Try not to eat it all before moving to the next step (it happens 😉 ) Add the cinnamon and salt and stir to combine. Set aside. Place nuts in your food processor. 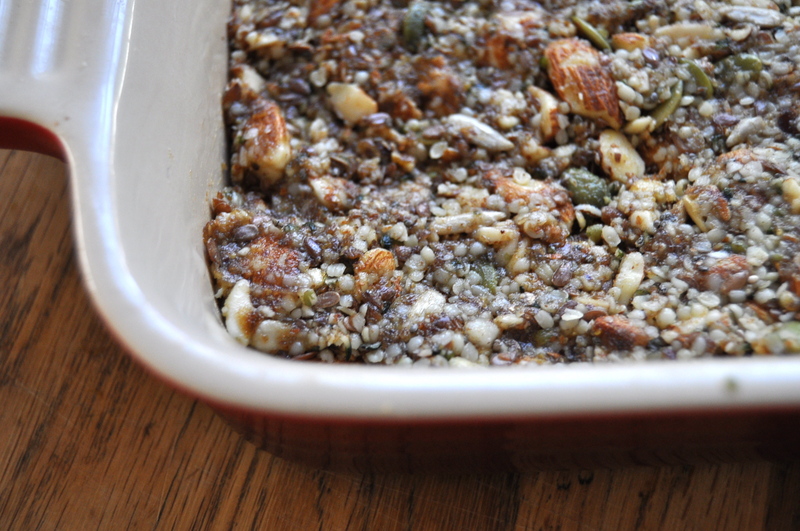 If your flax seeds are whole, add them to the nuts. Pulse to grind the nuts. You don’t want them totally pulverized. 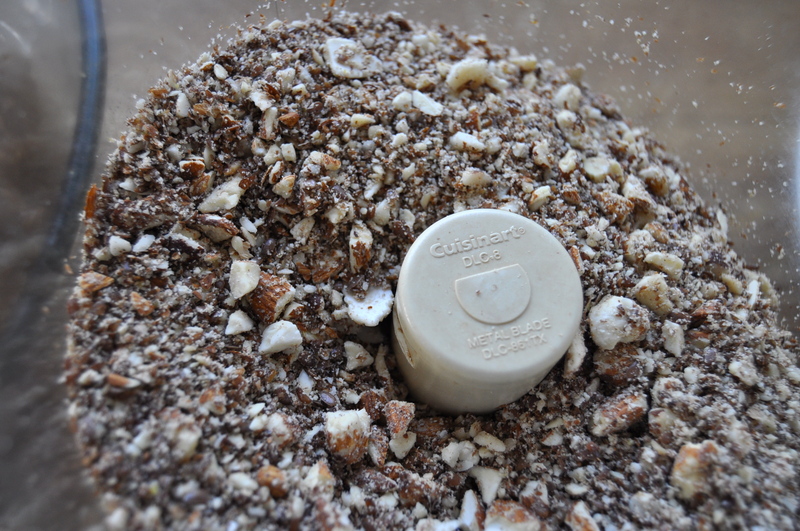 Most of the nuts should be ground to a flour, leaving just a few larger pieces. Add to the bowl with your salted date caramel. Add in the rest of the ingredients. Stir to combine. Get in there and use your hands! At this point either press into a lined 9×9 baking pan or roll into balls. If rolling into balls it helps to wet your hands occasionally to prevent sticking. If you do balls rolling them in coconut adds a nice texture. These are ready to eat immediately, but will hold their shape better after a few hours in the fridge. 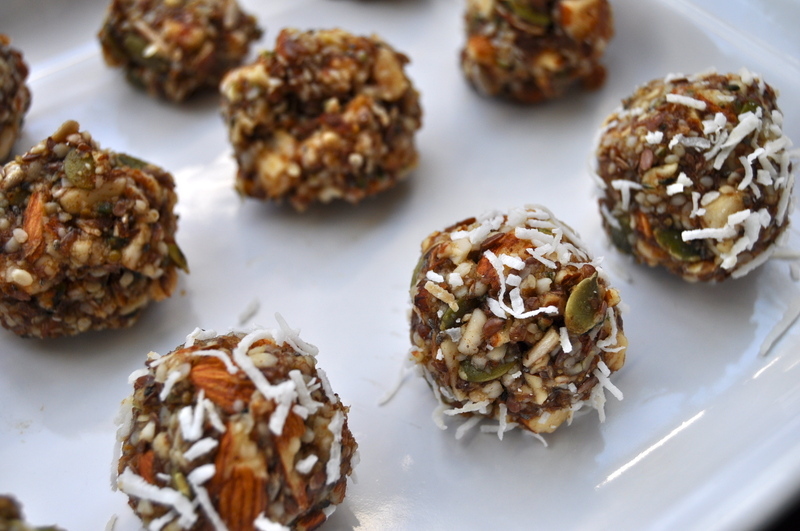 This entry was posted in raw, snack, vegan, vegetarian and tagged balls, bars, dairy free, energy, gluten free, healthy, protein, raw, recipe, vegan. Bookmark the permalink. I love making energy bites! These look fantastic and so easy! Yum. Thank you! Hope you give them a try!